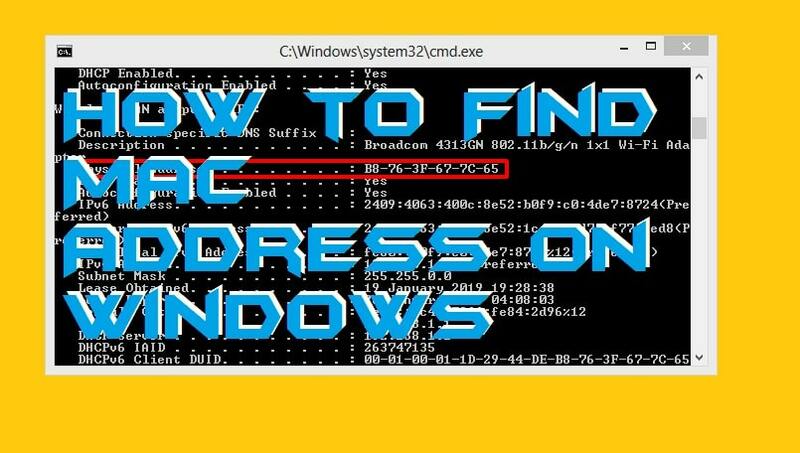 It is the best method on how to find Mac Address on Windows 10, 8.1, & 8. You can even check the Mac address for your WiFi or Lan connection. I will share a separate method for both connections. You don’t need to download any external software. I will share an inbuilt way to find Mac Address on PC. You can identify the network number of any computer. The MAC address is known as the Media Access Control Address which is a unique identifier of a network interface controller. A MAC address is used to assign the network a unique identification number. But, did you know that every Windows operating system contains a MAC address to a network which connects to it? Not yet. Knowing how to find mac address is challenging. However, this article which you are reading right now is all about the MAC address information gathering. Finding a MAC address is a straightforward task. However, then if you know the technique for that. 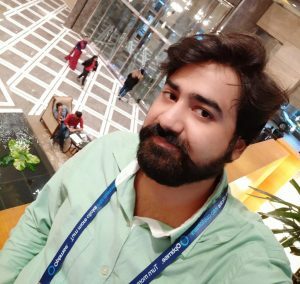 Whenever you got connected to the network through your Windows 10, 8.1 & 8 pc then immediately a MAC address is assigned to your computer system. So, what is the MAC address of the network from which you are reading this article on CrazyTechTricks.com right now? Have you ever thought of it? Let me help you in teaching you about how to find mac address. There is a quite simple method which will let you find out the MAC address of your Windows 10, 8.1 & 8 pc. Open Comand prompt on your Windows PC/laptop. Type ipconfig /all and hit enter. If you are facing any problem in writing the above text. Then you copy and paste. Do read our guide on How to Enable Copy and Paste in Command Prompt CMD. Find the network from which you have connected from the result list. Finally, find out the physical address which is your MAC address of the network. It is an excellent choice that you want to utilise the MAC address in finding the device details. But, I have a piece of bad news for you guys. The only information you can collect from the MAC address of Windows 10, 8.1 & 8 pc/laptop is the manufacturer name. Yes, exactly it is terrible news for you guys. The manufacturer name of the laptop or pc can be collected from a MAC address. You can use that MAC address to find manufacturer name of the pc by using some available online tools for free. Some of the best MAC address finders are listed on the next section of the article. The MAC address finders are those tools which help you in getting the vendors or manufacturer name from a MAC address. Yeas, it is possible to get the name of the manufacturer using a MAC address. I have listed some online available tools or website that is going to help you with that. Also, these websites are free to use to get the name of the vendor of a pc/laptop from MAC address. You have to paste the MAC address on the website’s input field and hit the search button for it. That’s it nothing else you have to do. You can even check who is using your WiFi and block them. This was the entire article about how to find mac address on Windows 10, 8.1 & 8. We also found that how we can see the vendor or manufacturer’s name using the MAC address. There are more tools available on the intent which can help you in getting the name of the vendor of the pc/laptop using MAC address. This much is enough for now on the MAC address topic. I hope now you have successfully learned about how to find mac address on Windows PC/laptop. Share this article with your friends and colleagues to let them learn about how to find mac address similar to you.